There are two types of people in the world: believers and non-believers. Those who believe in magic, and those who do not. People who think life happens by chance, and people who recognize the power of kismet. The Horoscope is a unique tool. Unlike the other six, it does not exist in a concrete way. Some choose to never look through its lens. "Life is random, and you make choices." Others try, but can't see what all the fuss is about. "Events occur by coincidence. It was pure luck." But for those who view life through this scope, they know it was meant to be. Guided by something bigger to this time and place; "Perhaps this is the moment for which I was created." Horoscopes help us see that everything happens for a reason. Nothing is by chance. They give us a sense of placement. We are exactly where we are supposed to be. Not five minutes earlier. Not in that career. Not with that person. Often mocked and discredited for being an overly broad statement, it's hard for people to understand their value. To be fair, they are not a crystal ball. They are meant to serve as generalizations. The Universe has to keep some mystery, or what would be the point in living?! The Horoscope is God's cheat sheet to life. He created the Universe and set it in motion. He knew it would be a daunting existence to navigate through. Horoscopes are His clues. His hints. His Signs. They serve as a compass, pointing our focus in the right direction. It then becomes a choice. A choice to capitalize on the moment and make the most of it. Horoscopes is about having faith. While it doesn't need to be rooted in religion, mine is. It's about believing in something bigger orchestrating the cosmic shifts that move us toward our destiny. Knowing there is magic woven throughout the Universe. Knowing we meet people for a reason. Knowing we are in this exact moment for a specific purpose. 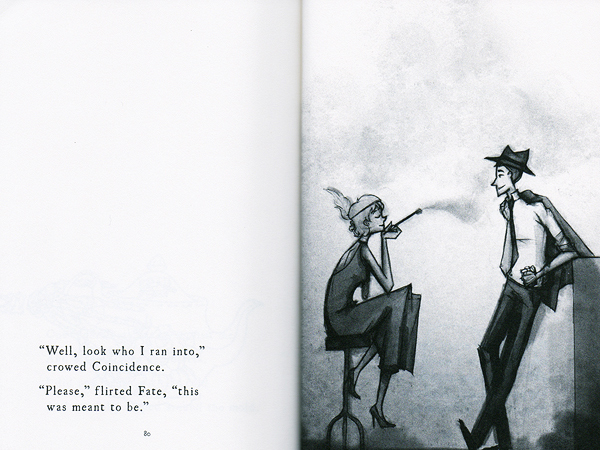 Because it was Fate.